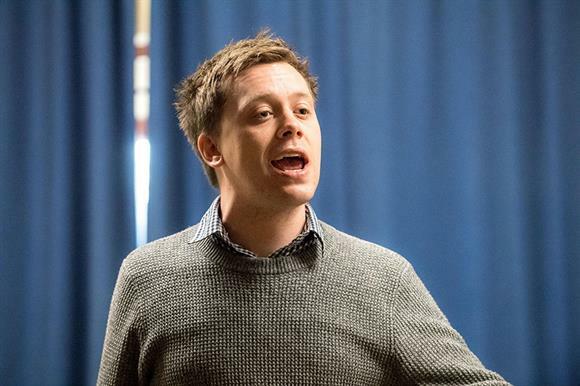 Too many charity leaders have been unwilling or unable to speak out against damaging government policies, according to the journalist Owen Jones. Giving the National Council for Voluntary Organisations’ annual Hinton Lecture in London last night, Jones set out what he believed the approach of the political left should be towards charities and volunteering. He told delegates that they must work towards a society "where charity is no longer necessary, either because the government provides properly funded and resourced services, or because the social ill or injustice has been eliminated". He said: "That does mean rejecting a social order that is bankrupt, broken and fundamentally unjust, and building a society run in the interests of the majority, not the selfish vested interests." Jones said government measures in the lobbying act and gagging clauses in contracts had silenced charities on key policy issues. He said charity leaders "have been increasingly unable – and sadly sometimes unwilling – to speak out against government policies". He said: "The Tories’ so-called lobbying act did not tackle the pernicious influence of corporate money and influence in British politics: in reality it was a gagging bill, which sought to wrap charities in red tape and stop them speaking out about issues the public need to hear." He also pointed to recent coverage of gagging clauses in government contracts with charities that he said had prevented them speaking out on subjects including the controversial introduction of Universal Credit and the outsourcing of probation services. "The left in power must repeal the gagging bill and give charities the freedom to speak out," said Jones. He said there were examples of "courageous activism" in the voluntary sector and paid tribute to the recent work of the gay rights charity Stonewall under the leadership of chief executive Ruth Hunt. "Stonewall was, I'm afraid to say, timid and weak for too much of its history," he said. "Hunt has changed that, providing strong leadership on trans rights – despite a vicious media campaign comparable to the anti-gay moral panics of the past – as well as everything from cuts to LGBTQ services and racism within LGBTQ communities. "She offers a template for other charities to emulate."